The University of Waterloo says it has apologised to students who had their personal information, including banking information and addresses, shared on a mailing list of about 2,000 students. 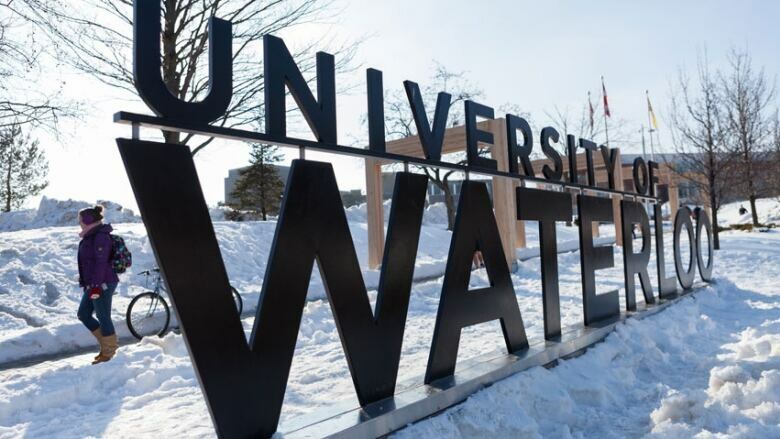 Personal information including names, student numbers, addresses and banking information of some University of Waterloo students was accidentally sent to a mailing list of 2,000 students, the school says. The emails went out Wednesday evening. Of the emails sent to the mailing list, 15 contained some private information like names and student numbers, Matthew Grant, the university's director of media relations, told CBC Kitchener-Waterloo in an interview. "Three of the emails included some more personal information including one that had some bank information and two that had either a home or a mailing address," he said. "We quickly became aware of the issue and were able to prevent any future emails from going out," he said, noting some students contacted the school's privacy officer to raise the issue. "If people receive information they're not supposed to, we're grateful that they would reach out and tell us." An email sent to CBC K-W by a student involved said the email was in regards to the online student management portal Quest, which is how students pay tuition. The university is now advising those students who had their information released on how to get help moving forward to prevent identity theft or other issues. Grant said the breach was due to human error. "We sincerely regret the mistake and have apologized to the people impacted and taken several steps to try to ensure it does not happen again," he said, noting the school has also made the Ontario privacy commissioner aware of the data breach. When a government department messes up, should the minister take the fall?